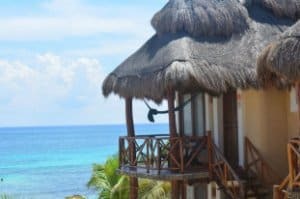 When visiting a major metropolis like Cancun, it’s easy to forget that the area known as the Yucatan Peninsula was once the heart of the mighty Maya empire. 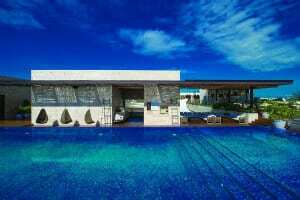 But the Museo Maya de Cancun (a.k.a. 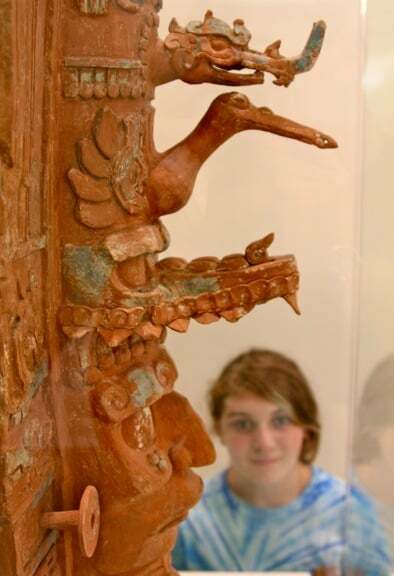 Cancun Mayan Museum) offers an amazing overview of Mayan history, art and archaeology that makes it a must-see for anyone intrigued by one of the world’s most powerful ancient civilizations. Opened in November 2012, the Museo Maya de Cancun was designed by Mexican architect Alberto García Lascurain, and built over the course of six years at a cost of $15 million dollars. 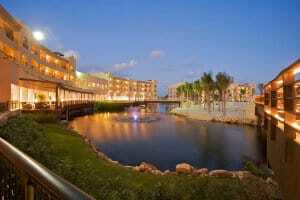 The modern white building seems perfectly at home in the heart of Cancun’s bustling Hotel Zone. But its sleek exterior belies the fact that the museum’s 55,000-square-foot property also includes the San Miguelito archaeological site, an oasis of calm shrouded by trees and containing around 40 Maya structures (including a 26-foot-tall pyramid). 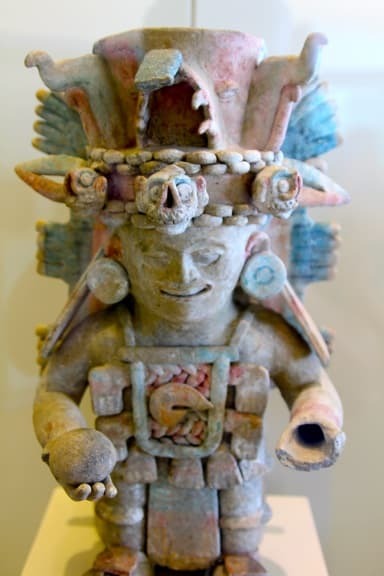 The Museo Maya de Cancun’s collection includes more than 3,500 artifacts, but usually there are only about 350 on display at any given time. 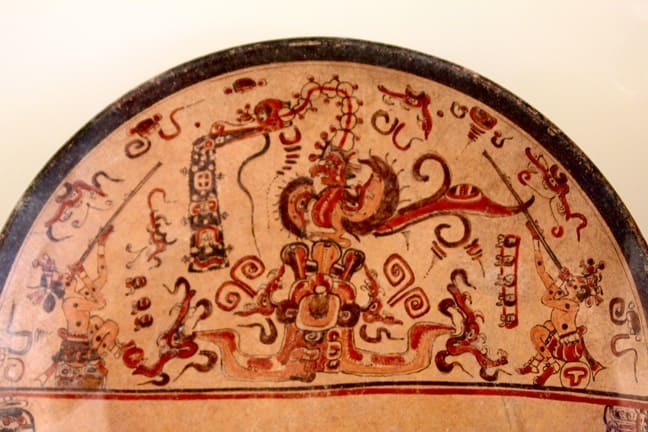 There are two permanent exhibition halls– one on the archaeology of the State of Quintana Roo (of which Cancun and the Riviera Maya are part) and one on Mayan culture as a whole– as well as a third hall featuring a temporary exhibit that changes from time to time. The first hall, which is set up to be viewed in roughly chronological order, shows how the art of the Maya evolved gradually over time. 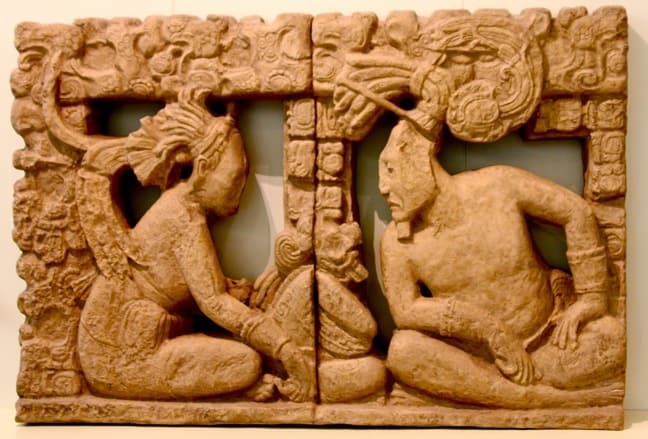 Although discoveries of Maya occupation in Belize have been carbon dated to around 2600 BC, the mid-sized communities of the Yucatan Peninsula’s northern lowlands didn’t spring up until what is known as the Middle and Late Preclassic period, around 250 BC. Archaeological relics from this early historical era include utility ceramics (bowls, platters, urns, etc. 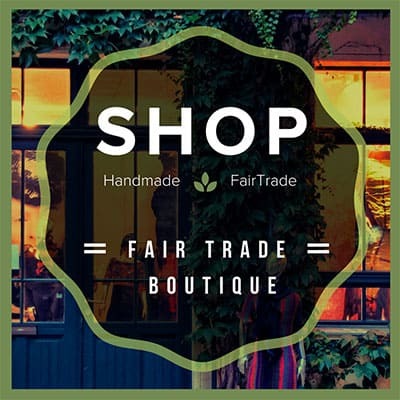 ), beaded necklaces, and rudimentary tools. 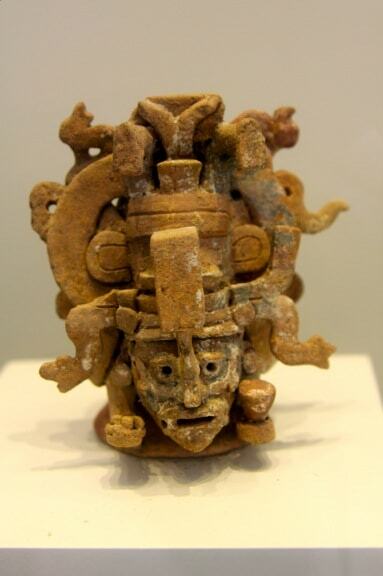 But by the Classic period (around 250-900 AD), Maya civilization had begun to evolve at an incredible pace. The population surged into the millions, large urban centers such as Chichen Itza and Tulum were constructed (complete with the famous Mayan pyramids), and the art and culture of the Maya became much more advanced. 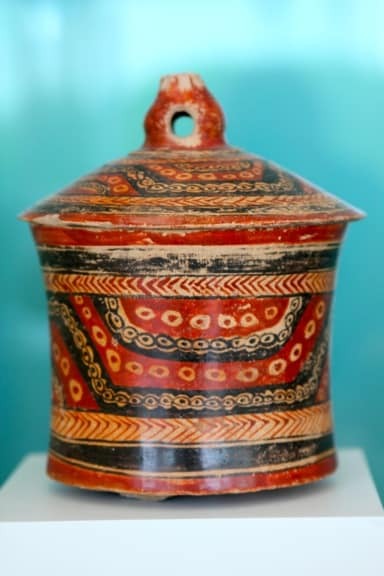 During this era, decorated pottery was used as social currency among the nobility, and was usually either given as gifts during ceremonial visits, passed down as heirlooms, or buried with nobles upon their death. Stone sculpture, stucco modeling, wood carving and mural painting all became increasingly popular, and an artful writing system was developed that contained around 1000 distinct hieroglyphs. Moving through the first gallery, it’s remarkable to see the complexity of these ancient relics, all of which were discovered in the area around Cancun. In the second gallery, you’ll see significantly larger pieces found in other regions of the vast Mayan empire, which ranged from Quintana Roo and Yucatan to the present-day Mexican states of Chiapas, Tabasco and Campeche, and on down to Guatemala, Belize, El Salvador, and even part of Honduras. It’s in this section that you begin to see Maya Stelae, the sculpted stone slab monuments which were usually covered with intricate carvings and inscriptions, and frequently accompanied by round altars. Typical of the Classical period, many of these sculptures paid tribute to the rulers of the cities in which they were located, often portraying them as gods. Though the purpose of these stelae remains unknown, they were ubiquitous in the ceremonial centers of most Classic Maya civilizations. One of the pieces my daughter and I were most fascinated by during our visit to the Museo Maya de Cancun was this striking sculpture, which reminded us of a Native American totem pole. There’s also a replica of the stela known as “Monument 6,” from the Tortuguero site in Tabasco, which was used as evidence for some of the theories on what would happen at the end of the Mayan calendar in 2012. 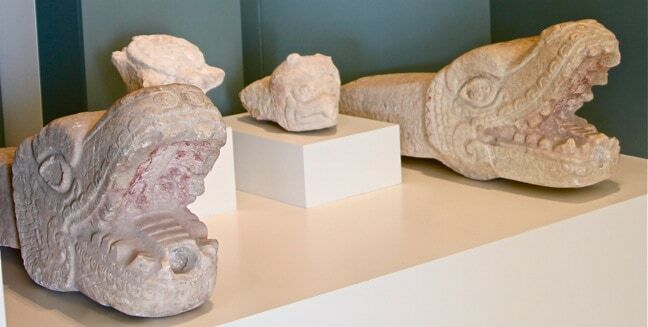 During our visit to the museum, the temporary exhibit in the third gallery was Rostros de la Divinidad: Mosaicos Mayas de Piedra Verde (Faces of Divinity: Mayan Mosaics of Green Stone), which features the funerary masks of numerous ancient Mayan rulers. 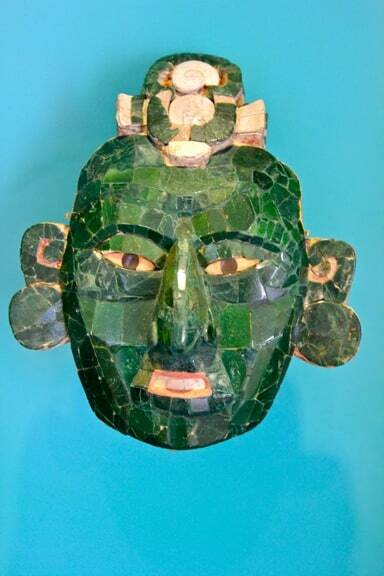 It’s remarkable, when you consider the fact that the Maya had no metal tools, to see ornate objects such as masks, belt ornaments and pendants created using cut pieces of jade, mother-of-pearl, and obsidian. 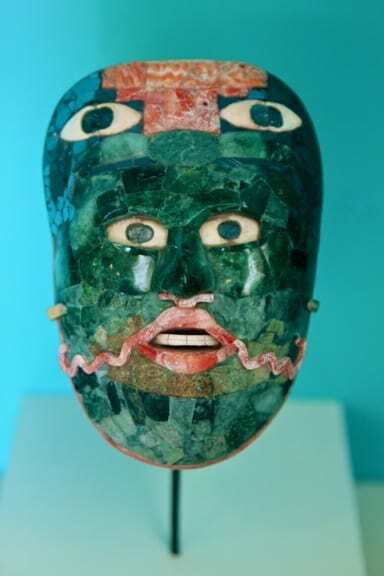 The most impressive example is the death mask of the Palenque king Pakal, pictured above. The third gallery is also home to one of the museum’s most noteworthy pieces. Submerged in the floor at the very back of the temporary exhibit lies the skeletal remains of La Mujer de las Palmas (“The Woman of the Palms”), who is believed to have lived in the Yucatan Peninsula around 10,000 to 12,000 years ago. 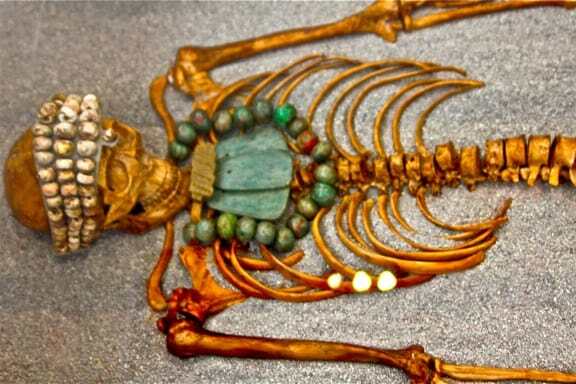 Draped in jade and malachite jewelry, the remains were found in the Las Palmas cenote near Tulum in 2002, and are exhibited in a replica of the context in which they were originally discovered. Having been to the Riviera Maya several times now, we’ve had a chance to explore the impressive ruins at Chichen Itza, Coba and Tulum. Climbing pyramids, strolling through pok ta pok ball courts, and hearing macabre tales of human sacrifice is an undeniably powerful experience. But visiting the Museo Maya de Cancun and seeing its ancient artifacts somehow made Mayan history feel more intimate and personal. And the fact that the San Miguelito archaeological site is right there on the property only serves to reinforce the fact that Cancun lies at the heart of one of the world’s richest indigenous cultures. 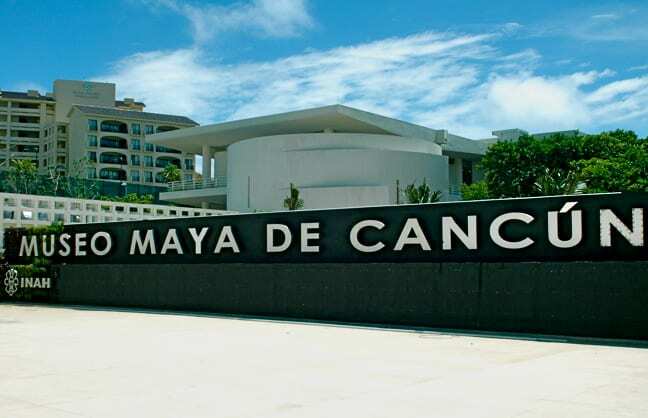 Insider Tips: The museum is a must-see in Cancun, but be sure to pack a Spanish-English dictionary as most of the signs within the museum are in Spanish and there are few English-speaking tour guides. Also, larger items will have to be stowed in lockers, so keep any small valuables on you! This museum is on the smaller side, so wandering on your own is the best way to explore and learn. The San Miguelito Archaeological Site is in a lovely shaded outdoor area so bug spray could come in handy. 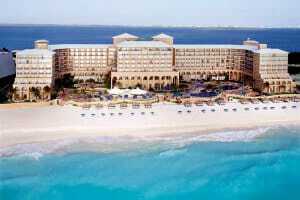 Only a 20 minute drive from Cancun International Airport, the museum can be reached by driving along Punta Nizuc. 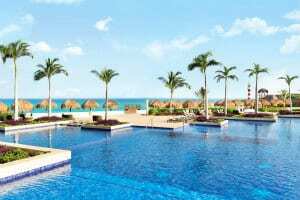 Cancun Shuttle is a transportation service that provides transportation to and from the airport and various destinations around the airport, and their service provides discounts for tours as well. Buses are another way to get to the museum; it’s located in the middle of Zona Hotelera, the hotel zone, so bus stops around the hotels are close to the museum. Entry fee for the museum is a low price of 70 pesos, or about $3.55. They do not accept dollars. Hours of Operation: The museum is open Tuesday-Sunday from 9:00 a.m. – 6:00 p.m., and the latest entry is at 5:30 p.m. Kids under age 5 enter for free!